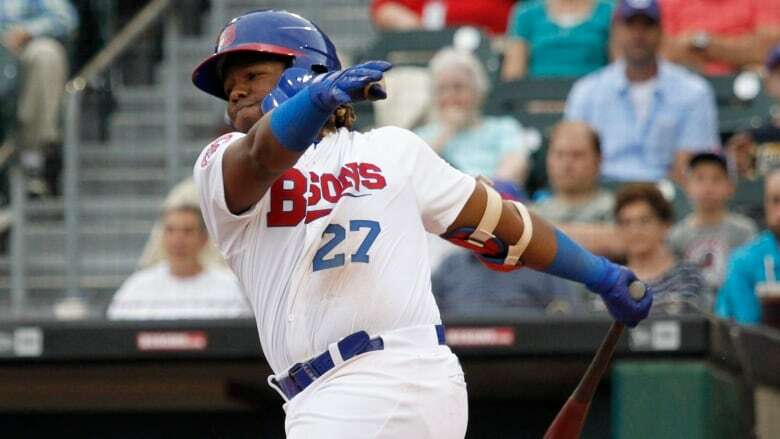 ​Baseball America has named Toronto Blue Jays third baseman Vladimir Guerrero Jr. the top prospect in the sport. The 19-year-old Dominican, who was born in Montreal, split last season between double-A New Hampshire and triple-A Buffalo. He is expected to make his major-league debut this season. Guerrero is one of seven Blue Jays on the top-100 list, released annually by the publication. Shortstop Bo Bichette also is in the top 10 at No. 8. The other Blue Jays are catcher Danny Jansen (No. 42), right-handers Nate Pearson (70) and Eric Pardinho (84), third baseman Jordan Groshans (89) and shortstop Kevin Smith (91).